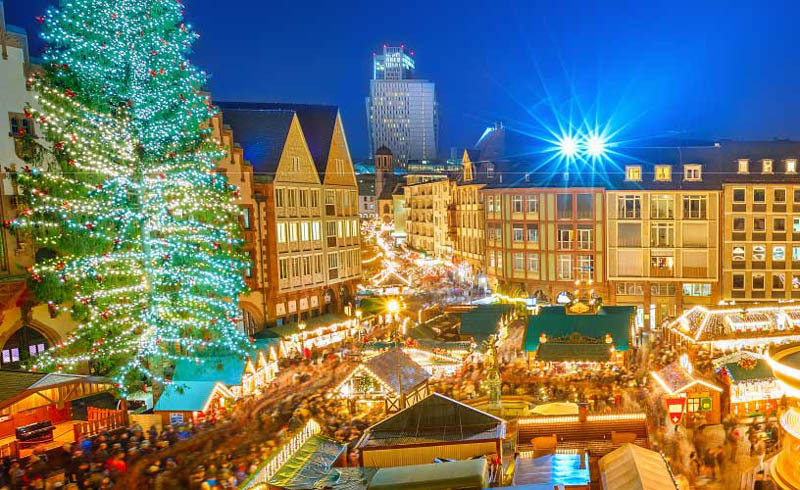 From mountainous Christmas trees to medieval festivities, Germany is the ultimate holiday fantasy. 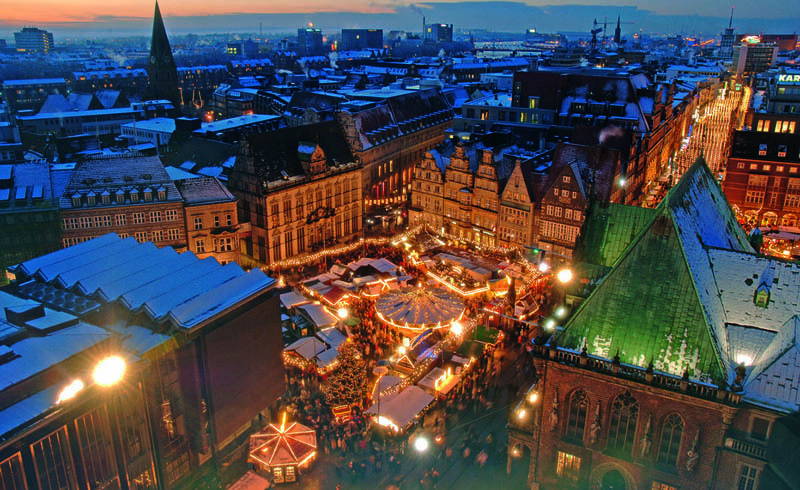 From late November until Christmas Eve, town squares all over Germany are buzzing with Christmas markets. 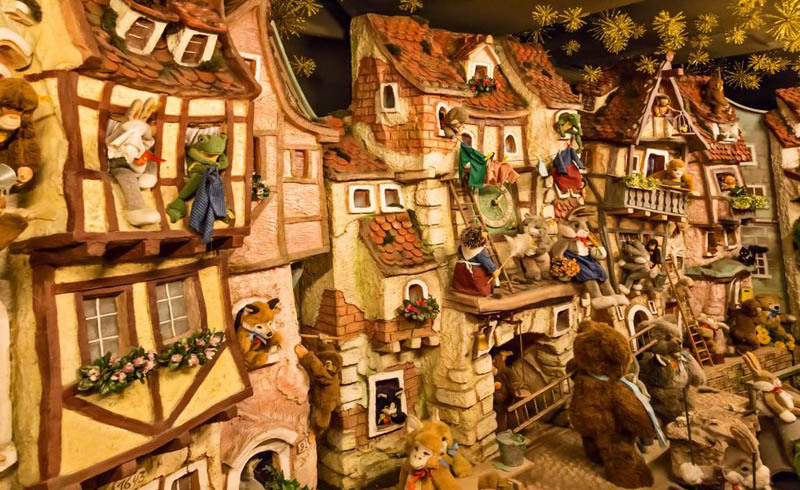 As one of the most treasured traditions in Deutschland, big cities and small towns alike celebrate the advent season. So grab a hot mug of gluhwein and prepare to watch chestnuts roasting on an open fire in these can't miss holiday hot spots. Escape the bustle of Frankfurt inside the city's Old Town, which turns into a Christmas dreamland during advent. Römerberg and St. Paul's square, made up of picturesque half-timbered houses, are filled with wooden huts adorned with lights, ornaments, and wreathes. Be sure not to miss the popular "pealing of the bells," a Christmas Eve tradition in which the church bells of Old Town ring out in harmony throughout the district for an astonishing concert experience. 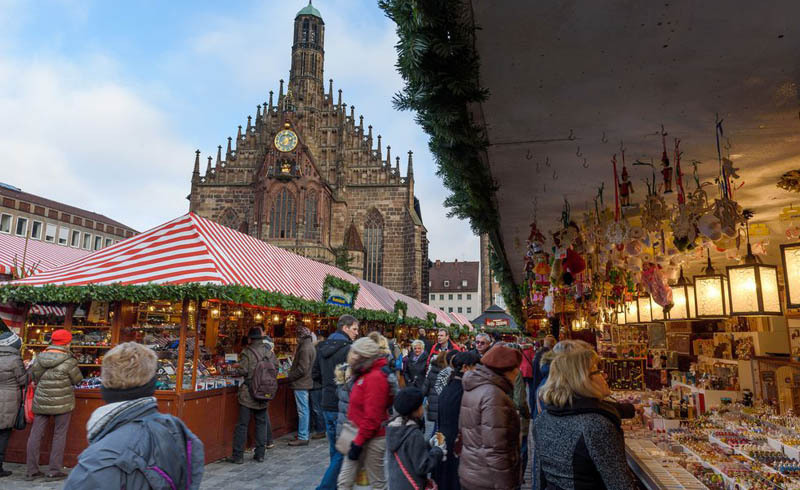 You can only find the famous Nuremberg bratwurst in this small Bavarian city, which is a staple at it's Christmas Market along with the traditional gluhwein (a type of mulled wine) and gingerbread. But the attraction to Christkindlemark has very little to do with treats. Thousands attend the elaborate annual opening ceremony to see the Nuremberg Christkind, an angelic gift-giving figure in German Christmas tales, deliver her traditional Christmas speech to the crowd in Main Market square. The Cathedral Christmas Market in Cologne is one of six markets throughout the city. 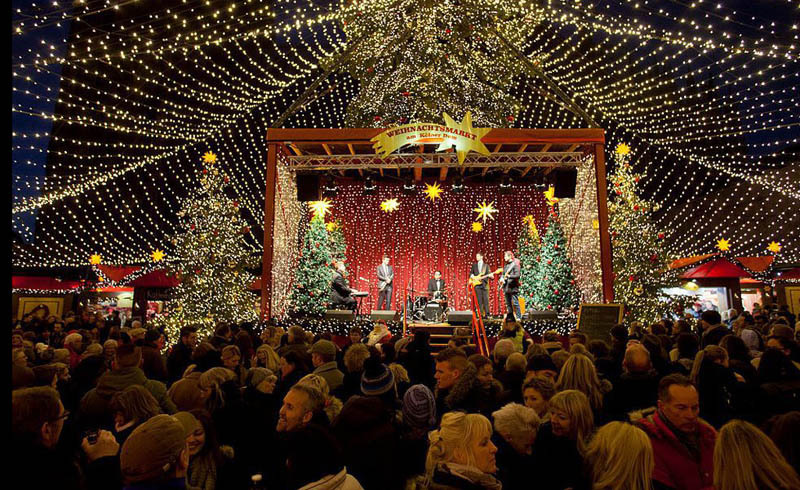 Come stroll through the 150 pavilions of traditional food and crafts, check out the largest tree in the Rhineland, and stop by the center stage for a range of Christmas performances and programs. A small village nestled within mountains along the Belgium border, Monschau really comes alive at Christmastime. The town's Christmas decorations have proven to be so popular that the locals have opened up a year round House of Christmas. 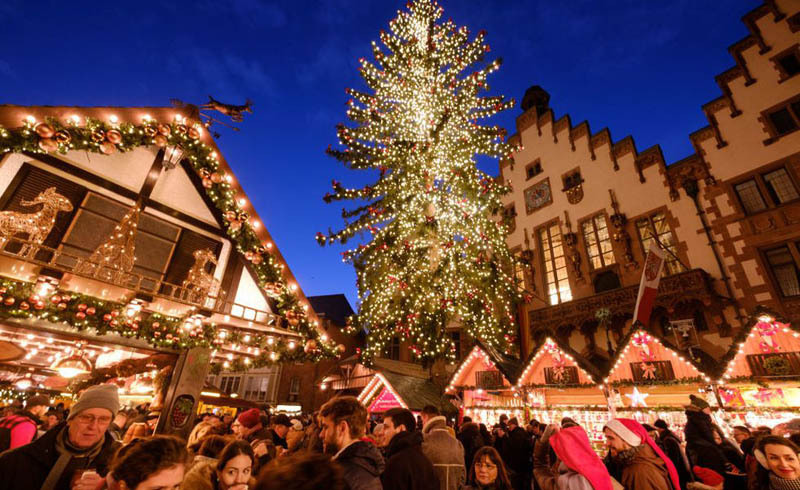 A day trip from Cologne or Düsseldorf, come watch the town illuminate at twilight while nibbling on their regional Monschauer Dütchen spongecake and sipping mulled wine before you head back to the city. With it's cobblestone streets, snow-topped half-timber houses, and winding stream it is nothing short of idyllic. 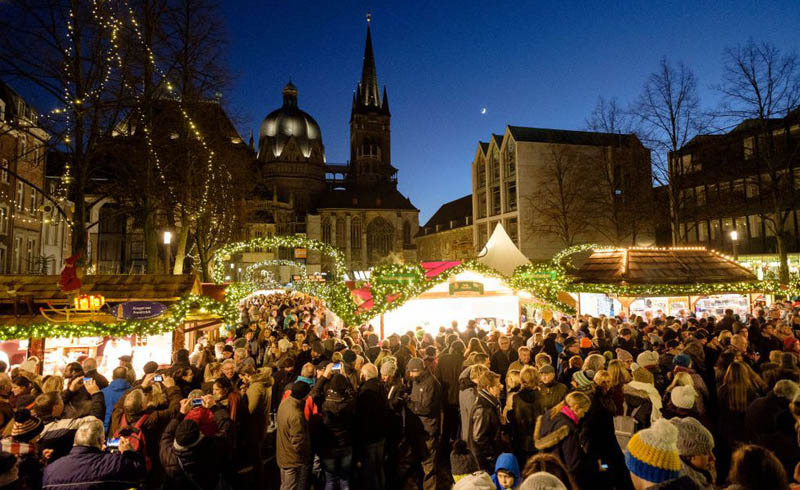 Built around the steps of Aachen Cathedral and the medieval town hall, Aachen's Christmas Market guarantees a breathtaking, old world backdrop as you wander around the stalls. Enjoy the festive lights as you try the town's Christmas specialty, a gingerbread-like cookie known as Aachener Printen that are made with a syrup from sugar beets. If you're craving a Christmas ambience with some real tradition to it this year, Rothenburg's ob der Tauber's Reiterlesmarkt will surely satisfy you. The medieval Bavarian town that looks like it leapt right off the pages of a storybook hosts a yearly Christmas market that dates back over 500 years. In the center of Düsseldorf's Old Town, Marktplatz offers a nod to the city's history. A gaze into the past with a stroll by local artisan wood turners, pewterers, brush makers, and glassblowers in Renaissance-style huts. Take a spin on the carefully restored 100-year old children's carrousel or stop by the life size hand-carved Christmas manger. 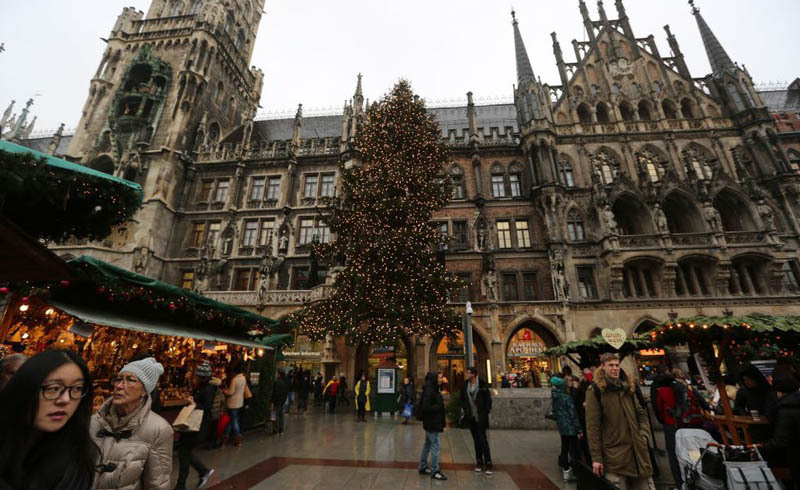 Munich's Christmas market on the Marienplatz is the oldest and largest in Bavaria's capital. Enjoy the scenery of the New City Hall and the Munich Christmas tree in the background while you search for traditional trinkets like ornaments, nutcrackers, or tea lights to commemorate your German advent experience. 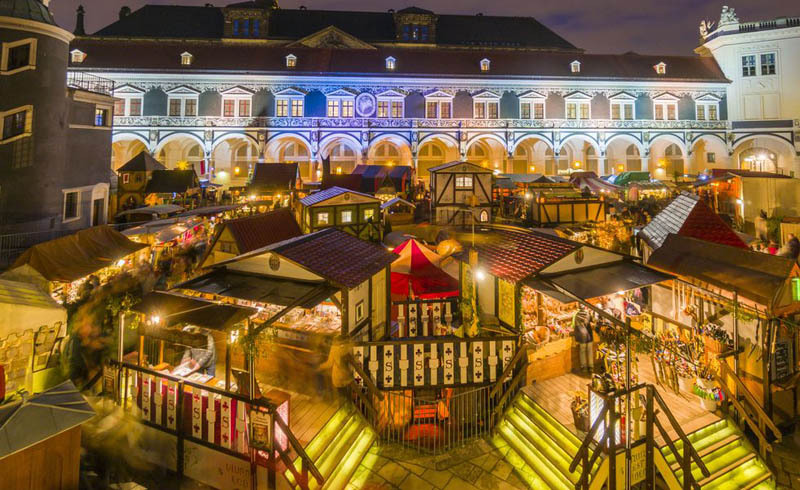 For an experience unlike any other German Christmas market, check out Dresden's medieval-themed market within the Residenzschloss palace. If jugglers and medieval cuisine aren't enticing enough, you can also take a break from the cold to heat up in the traditional public bathhouse. 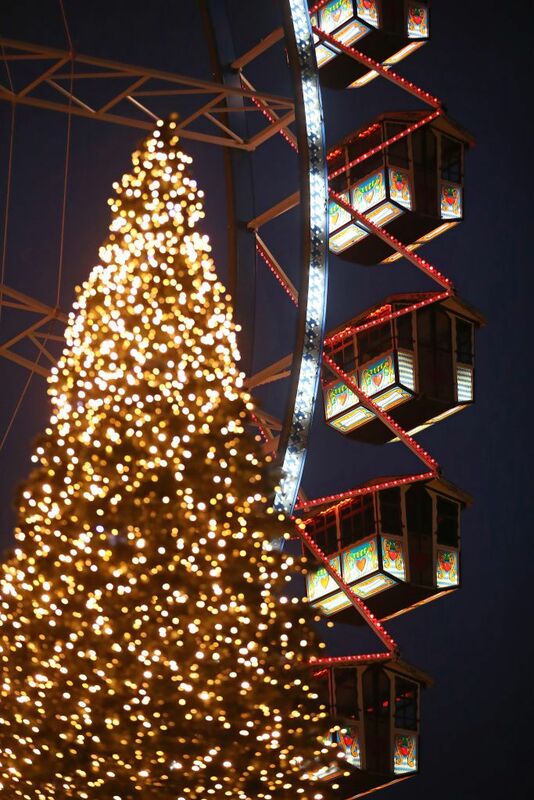 Every Christmas season Alexanderplatz turns into a holiday wonderland with rides, refreshments, and souvenirs known as Berliner Weinachtszeit. 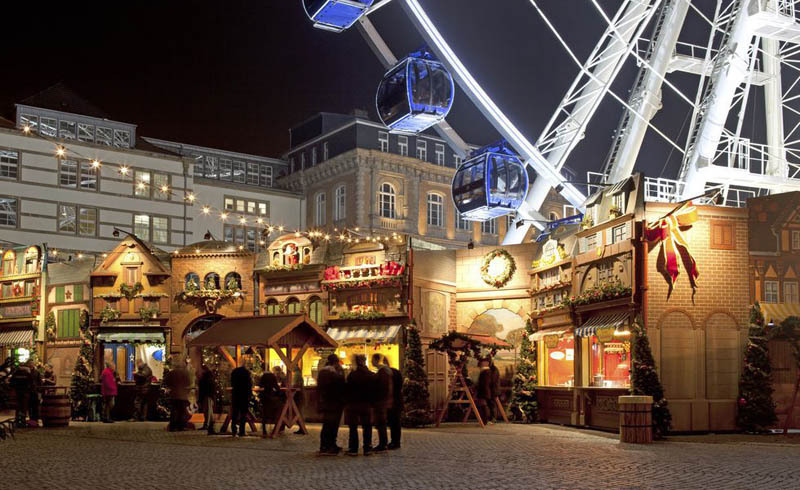 In between enjoying a hot mug of mulled wine or digging into a bratwurst, take a spin around the market's ice skating rink or catch a view of the city from their giant ferris wheel.